can ancient ziggurat be used to pay for ninjutsu? 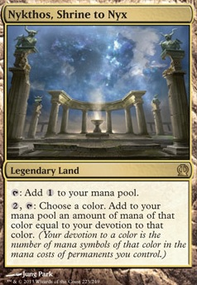 : Add one mana of any color to your mana pool. 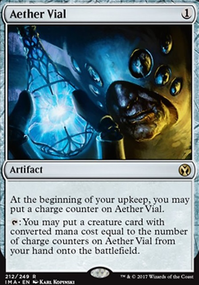 Spend this mana only to cast creature spells. For lands your first few upgrades should be Exotic Orchard , Ancient Ziggurat , Mana Confluence , City of Brass , and the 3 checklands (i.e. Rootbound Crag . 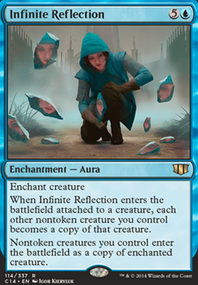 You can add in Cryptolith Rite for another way to have your slivers to tap for mana. Other than that, 5 color mana base is pretty hard. 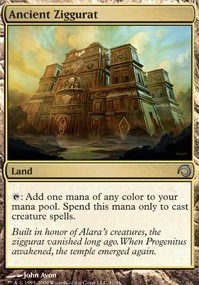 I would say since you are going for a budget land base, you can replace all your guildgates with the tri-color lands like Arcane Sanctum , Seaside Citadel , Jungle Shrine , Crumbling Necropolis , Savage Lands , Mystic Monastery , Nomad Outpost , Sandsteppe Citadel , Opulent Palace , and Frontier Bivouac . At least they will add an additional color in comparison with the guild gates. 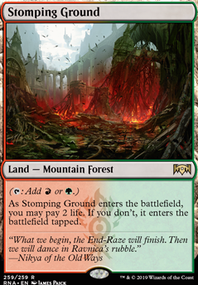 For budget multi-color lands there are lands like Exotic Orchard and Forbidden Orchard that are decent. 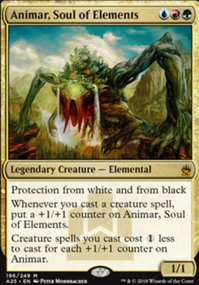 Unclaimed Territory , Path of Ancestry , Cascading Cataracts , Sliver Hive , Ancient Ziggurat , and Mirrodin's Core can be some options for a decent 5 color mana base. 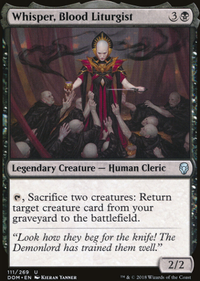 Grim Monolith ain't modern legal, bro, sorry.